News Release Innovation Smart Mobility Society Connected Region U.S.
HONOLULU (July 10, 2018)―A jaunt to the beach, a quick errand or the drive to work. These activities just became more manageable for residents of Honolulu and visitors alike with today's launch of a creative new mobility solution called Hui―a round-trip, station-based car share service. Operated by Servco Pacific (Servco), Toyota's distributor in Hawaii, the Hui service utilizes Toyota's proprietary global Mobility Service Platform (MSPF) and a consumer facing app developed by Toyota Connected North America (TCNA), the global technology strategy business unit for Toyota. 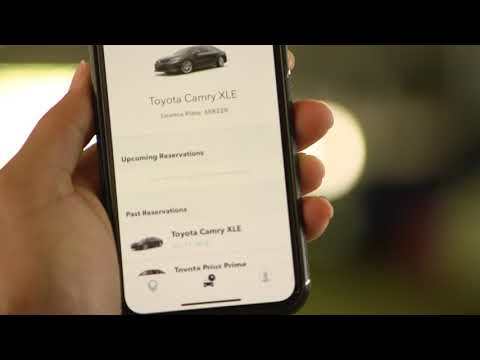 Seventy Toyota and Lexus vehicles are available for reservation through the Hui mobile app (for iOS and Android devices) by the hour or day at 25 easily accessible locations throughout Honolulu. The vehicles initially in the program include the Toyota Prius, Prius Prime, Camry XSE, as well as Lexus RX350 and RX F Sport vehicles. Hui vehicles are parked in marked, reserved stalls for easy pick-up and drop-off. The app supports a range of fleet management tools, as well as driver identification, authentication and payment management. In addition, Hui vehicles are equipped with Toyota's Smart Key Box, which generates a digital key that allows users to lock and unlock, as well as start vehicles via their smartphone. "We're really excited about Hui because it's a game changing way to offer car sharing," said Zack Hicks, chief executive officer and president of TCNA, and chief digital officer of Toyota Motor North America. "The program is simple to use and more convenient than a traditional car rental service―plus typical add-ons like gas and insurance are included in the reservation cost. And thanks to Servco's strong relationships with consumers and extensive knowledge of this market, Hui will be the most accessible car share service in Honolulu by far." TCNA and Servco developed the service together as one of the first public applications of MSPF, the core ecosystem for leveraging the potential of connected vehicle systems to support the development of new mobility businesses―such as car-sharing, ride-sharing and remote delivery. The platform gives fleet operators the capability to launch their own car share programs, capitalizing on the strength of their local expertise, while supporting leading-edge mobility use cases as they arise. 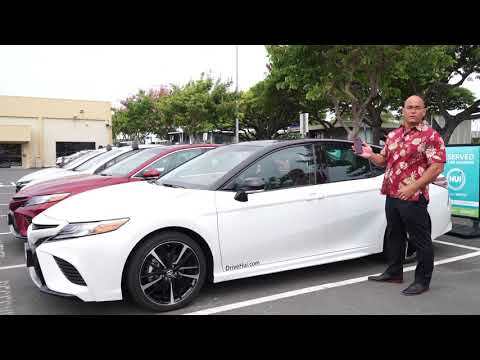 "Hui is the most innovative car share service to hit the Hawaii market and marks a significant milestone for both Servco and Toyota," said Mark Fukunaga, chief executive officer of Servco. "Hui provides a new option for Honolulu residents and visitors looking for vehicle access while complementing other existing mobility services such as bike share, ride share and public transportation, and we are excited for consumers to utilize the technology." For more information on pricing, station locations and terms of service, please visit www.drivehui.com. About Toyota Connected North America, Inc.
Based in Plano, Texas, Toyota Connected North America (TCNA) was established in 2016 to drive Toyota's global efforts for an intelligent mobile society. With big data collected from vehicles and analyzed on a cloud platform, TCNA humanizes the driving experience by freeing customers from the tyranny of technology via seamless and contextual services, elevating the customer experience while benefitting dealers, distributors, and partners. Analyzing traffic patterns, driver behavior and connecting drivers with infrastructure and other information is only part of TCNA's work that will open new services and products to keep the car as a beloved companion. Developed by Toyota Connected North America and Servco, Hui is a round-trip, station-based service that is available to users 24/7. It is a global pilot program for Toyota's shared mobility service platform. Hui vehicles can be reserved by the hour or day as the program is designed to replace or supplement vehicle ownership. To utilize Hui, a user must have a valid driver's license and meet a driving record standard. Once available to the public, qualified users will be able to download the app onto their mobile phone, register as a member, then search for the nearest vehicle and reserve a date and time. Gas, insurance, parking at the station, 24-hour roadside assistance, and a 24-hour call center are all included in the hourly rate of the vehicle.